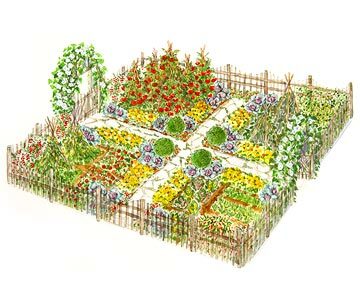 A potager garden should be designed to be both beautiful to look at, as well as productive, by planting useful plants, edible and cut flowers, herbs and vegetables. By adding trellises, arbors and statuary, you can create an attractive outdoor room. A potager garden where herbs and flowers grow together is becoming more popular than the traditional row gardening. Design on paper a carefree style of a cottage garden or formal as a knot garden of any size. Think about combining plants that will create patterns of color, like a square of red leaf lettuce with a green basil plant in the middle. 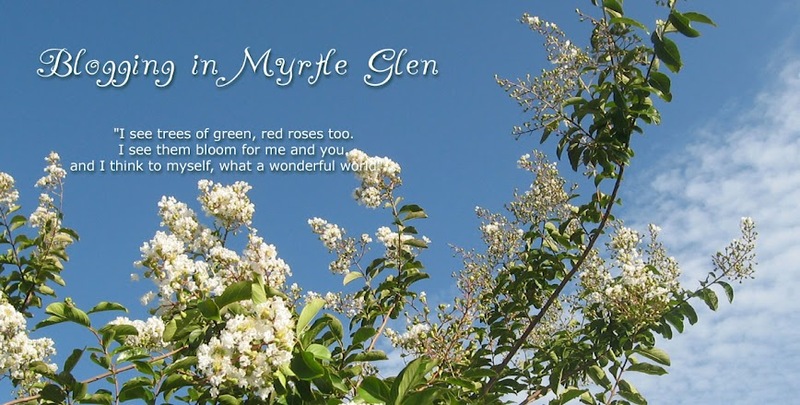 Consider spread and height of each plant, so the beds don't get overgrown. Celery - 8"Dwarf Nasturtium - 12"
Pick a well drained area, create raised beds with boards or brick. or use an old children's sandbox, or even large pots or planters on a balcony. 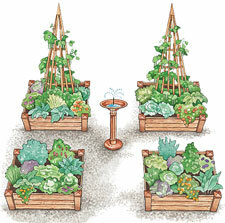 Your potager garden should receive at least 6 hours sunshine and be close to a watering source. Keep tomatoes and other plants potted until danger of frost is past before planting in ground.